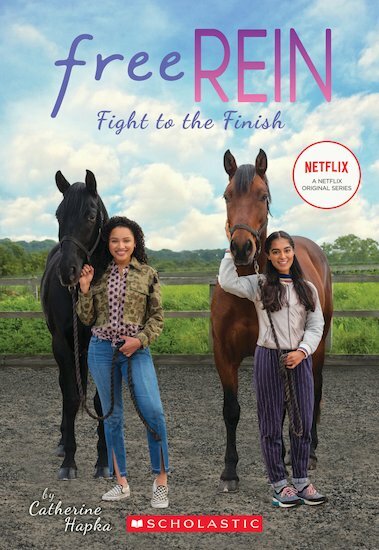 Based on the hit Netflix show for horse-lovers! Zoe vs Jade. Two rival riders chasing one prize. Will they still be BFFs when it’s all over? The one-and-only Poppy Addison is headed to Bright Field Stables! Poppy, a famous rider, is hosting a clinic for horses. Best of all, there’s a contest to award a free spot to the best rider. Zoe knows she and her gorgeous horse, Raven, can blow Poppy and her judges away. Trouble is, Jade wants the prize too. With two besties going head to head, this may end up as a friendship fiasco!